Can I Waive My Child’s Right to File a Personal Injury Lawsuit? You can probably think of many times when a business has asked you to sign a “release” as a condition of receiving a service. Such releases are waivers of liability designed to protect the business, not you, in case something goes wrong. 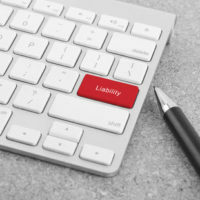 A release often includes a long list of terms and conditions designed to avoid a personal injury lawsuit, even if you are clearly injured as a result of negligence on the part of the business or its employees. One way that a business release can frustrate a personal injury plaintiff is through a “forum selection clause.” This refers to language specifying what court should hear any lawsuit arising from the customer’s use of the business’ services. You might think this would be a matter of common sense, but a recent Tennessee Court of Appeals decision suggests otherwise. In this case, a mother took her child to a trampoline park in Nashville. Before allowing the child to participate, the park required the mother sign a release that included a forum selection clause. The clause stated any dispute should be handled by California courts applying California law. During a subsequent visit to the park, the child was injured during a dodgeball game. The mother alleged the park was negligent in allowing children to play dodgeball on trampolines. Acting on behalf of her son, the mother sued the park in Davidson County, Tennessee, as that is where the alleged injury actually occurred. But the park pointed to the forum selection clause and argued the case must be tried in California, not Tennessee. The Davidson County court declined to enforce this clause, however, citing t violated Tennessee law and public policy. The park appealed. The Court of Appeals agreed with the trial judge, however, noting there was no real connection between the parties and California. The park is owned by a corporation based in Nevada. The only apparent link to California was that the park operated within a “larger brand” that was started in California “over a decade ago.” The Court of Appeals said such a tenuous link did not justify the inconvenience to the Tennessee plaintiffs of making them pursue their negligence claim in California. Similarly, there was no good reason to apply California law to the facts of the plaintiff’s complaint. And applying Tennessee law, the Court of Appeals said the release itself was unenforceable as to the son’s claims against the park. In 1989, the Court of Appeals held that a “parent could not release a child’s claim against a third party.” The park asked the Court of Appeals to reconsider its earlier decision in light of “changes in constitutional law concerning parental rights.” The Court declined to do so. Need Help From a Tennessee Personal Injury Attorney? You should always read any release or waiver before signing it. But even if you sign a release, that does not mean all of its terms are enforceable under Tennessee law. If you have any questions regarding how a release may affect the legal rights of you or your child and need to speak with a qualified Knoxville personal injury lawyer, contact the offices of Fox & Farley, Attorneys at Law, today.